Waxing poetic about the symphonic wonderment that is Indian Cuisine is sort of like writing a love song: it's all been done before. Ask any foodie about their opinions on Indian food, and they'll promptly melt into a puddle of mewling goo, expounding the virtues of the spicing, regaling in the perfectly cooked meats, rich gravies, and lavish rice. Oh, we all love Indian food. But I'll let you in on a little secret: if you want the most perfectly food-gasmic Indian experience possible, you're going to have to make a field trip over to Tandoor, in good old West Allis. I think it probably shows a bit of bias that I haven't really even written a word about the food itself, and I'm already calling Tandoor the best destination for Indian food in the city, if not the state. But the fact of the matter is, I've dined at almost every Indian restaurant in every major metropolitan area in Wisconsin, and I can honestly say that Tandoor has delivered the goods, time and time again, always leaving me immensely full and awed at their culinary abilities. That said, let's talk Indian food for a moment, shall we? Tandoor immediately greets you with a warm, comforting blanket of spiced air the second you open the door. There's ginger, coriander, cumin, garlic... the smell is heavenly, and sets the stage for what's ahead. The restaurant itself is a bit odd, consisting of a bar side (which, to be honest, I don't think I've ever seen anyone sitting at), and a dining room side. It's positioned at one end of a row of businesses on Highway 100, just about a block north of Greenfield avenue. The interior is spartan, with some traditional tapestries hanging on the walls, simple tables and chairs, and just a little Asha Bhosle piped into the dining room, to never let you forget how close Bollywood is to taking over the world. The restaurant is always clean, well lit, and well attended, but I've never had to wait for a table. During the week, Tandoor has an exceptional lunch buffet, and the dinner menu offers all of those options and more. You may notice that the interior of Tandoor is a bit, well, homely... you'd be correct in your assessment. And as far as I'm concerned, that's okay. Actually, more than okay. I would venture to say that the combination of humble space and extraordinary food is what makes Tandoor such a find: this place is all about the food. No pretense, no out-of-body decorating experience... just absolutely breathtaking food. Tandoor is one of the few restaurants in my short list of favorite places that has no "environment" column, just because I think it's sort of irrelevant: you go for the food, not the décor. Tandoor is, of course, named for the Indian clay oven used for a number of dishes. Tandoori chicken, which is probably the most well-known of these, is a perennial favorite on the menu. 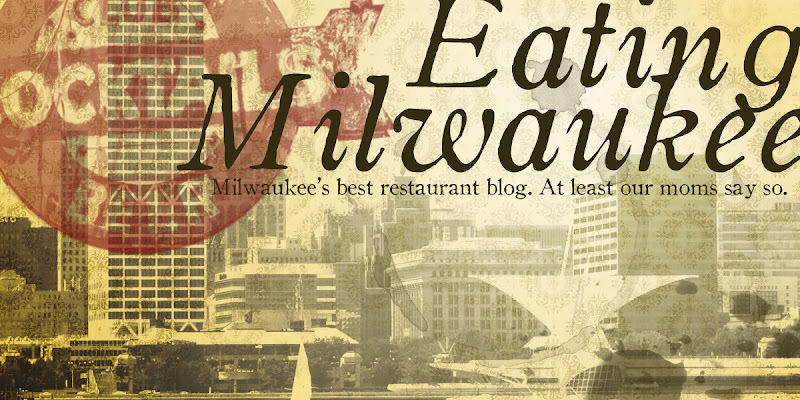 While none of the Eating Milwaukee staff ordered it on our visit, we've all had it before, and it certainly is worth the praise and reputation which follows it. Tender and lightly spiced, with that nuclear-red color so traditional, it's the perfect solution to both boring American barbecued chicken in the Summer months, and pale and bland baked chicken in the Winter. But, I digress: as much as I love a good hunk of yard bird seared in a rocket-hot clay oven, there are other, less pedestrian treats to behold. Let us then progress to the run-down, shall we? The chicken pakoras are always a personal favorite. Loving referred to amongst the staff as "Indian Chicken Strips," the pakoras consist of chicken thigh meat, spiced and breaded in a chickpea batter, and fried to GBD perfection. The shimp and paneer (a home-made, fresh farmer's-type cheese) are given similar treatment. The batter on each gets super-extra crispy, and has a wonderful spice and saltiness to it -- not too strong, not too bland, but balanced in a way that is so typical in Indian cuisine. The samosas were the stars, however, with a crumbly, crispy pastry shell, and smooth, spicy filling consisting of potatoes and peas. Lauren, not being a potato fan, was a bit leery. However, upon continuous egging on from the rest of the staff, she finally caved, and quickly exclaimed, "You can't even tell it's potato!" One of the things that always amazes me about Indian cooking is how a basic stable of spices can be re-combined in so many different ways, yielding different results each time. Most of the dishes that form the foundation of Indian cuisine use the same basic spices, yet when combined in different proportions, sometimes omitting one, sometimes the other, different dishes can take on completely unique personalities. Taking advantage of this, many Indian dishes spawn from a number of basic sauces (something like French Mother Sauces). Regardless of whether Tandoor uses this strategy in their kitchen, I can say with all confidence that each and every item on their menu has such a specific and unique identity, they all taste as though they have been made individually, specifically to order. I like that. My Chicken Shaahi Korma was beyond reproach. A smooth, creamy gravy, filled to the brim with plump, sweet golden raisins, and spiked with half cashews, it was both sweet, salty, and incredibly well spiced. The chicken chunks were tender, big, and plentiful. Combined with the large amounts of Basmati rice served with dinner, and the copious amount of fresh-baked garlic nan, the effect was amazing. Andy's Garlic Shrimp and Chicken was awe-inspiring, with a gravy so garlic-heavy it was almost too strong. Please note the operative word there: almost. For those who love garlic (me), this was just at the nexus of strength and flavor. For those who abhor garlic, well, good luck finding Indian food without it. Having had the garlic shrimp and chicken before, I was familiar with the basic flavor. However, Andy ordered his at a Medium hotness level, as opposed to my typical wussified Mild heat, or the iron-tongued Hot heat (sorry, I had to use red text somewhere in here). With the dish at medium heat, flavors seemed brighter, more pronounced. The garlic seemed less heavy, less oppressive, and had a pleasant heat augmented with the chili flavor. Lauren's Chicken Makhani was typically delicious, with a rich, thick gravy heavy with tomato, garlic, ginger, cream, and butter, with a sweet set of spices that immediately made me think clove, cinnamon, and cardamom. The chicken tikka in her dish were tiny, tender cubes that were the perfect compliment to the delicate sauce. There isn't much else to say that may expound the virtue of Tandoor, other than to say that every time we've visited (often) in the last seven years, we've been wowed, and honored. We always find ourselves thanking the accommodating staff, over and over, and from my point of view, it's because I feel sort of privileged to be able to eat with them. It feels like you're welcomed into their world, seated at the kitchen table of their home, and served their dinner, as opposed to going to some mock-Indian theme park that specializes in Americanized food that bears little to no resemblance to actual authentic cooking. It's a treat, and albeit one that cannot be over-used: I think part of the wonderment of Indian cooking is the fact that I can't, no matter how hard I try, re-create it at home. I love Tandoor, always have, and always will. The wait staff is inviting and fun, very attentive and engaging. The menu is immense and comprehensive, and the food... well, the food will leave you smiling in such a way that is normally reserved for more, ahem, adult activities. 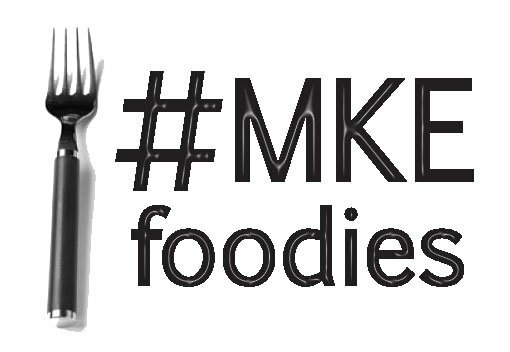 Visit soon, and visit often, as any of the Eating Milwaukee staff will tell you. Is this really important when you consider the food? I mean, you've got nice linen napkins, Asha Bhosle, and the smell of a thousand spices in the air. What more do you need? Certainly fair, although not the least expensive I've seen. When your food arrives, give in to the panic that you aren't getting a whole lot in that little metal bowl. Dump some curry on a pile of rice, and then tell me you aren't going to have enough to be full... especially as you pack your left-overs in a to-go box. A little goes a long way, and portion sizes are plenty big. Most entrées fall into the $9-$14 range. Fun, smiling, and pleasant. And oh, do they make sure your water glass is full! Exceptional in every way. Order anything you want, you'll be happy. No heap of praise will ever explain how much I love Tandoor, you're just going to have to experience it yourself. Online menu (danger! out of date prices and offerings!) available here. The Eating Milwaukee Staff seems to agree that while Royal India is quite tasty (and yes, we have been there, too), that Tandoor is the superior choice. Everything has just one more level of authenticity that I think Royal India lacks.